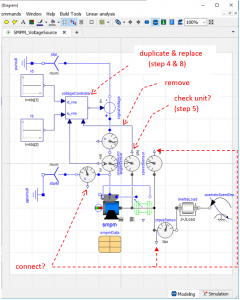 Abstract: This blog post presents a simple method for reducing connection errors while developing or using cyber-physical systems (CPS) models in Dymola. 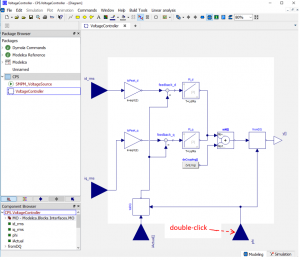 For demonstrating this method, a synchronous machine permanent magnet (SMPM) model from Modelica Standard library (MSL) is used. 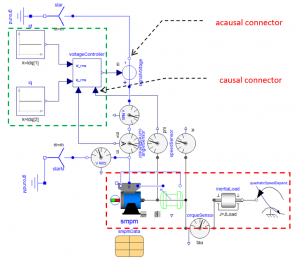 It is shown that by carefully adding a correct unit to a Real input causal connector of the SMPM model ensures that a signal generated from the physical part of the model passes only to the correct cyber part of the same model. 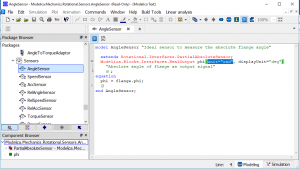 Keywords: Modelica, Cyber, Physical, Model, Connection, Error, Dymola. For accelerating model development processes, Dymola provides a powerful graphical user interface (GUI). 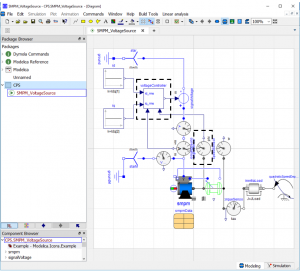 In Dymola, both plant (physical) and control models can be created and simulated from a single model. In this blog post, such a model is called as a cyber-physical system (CPS) model, like that in Figure 1. Figure 1– Diagram layer of MSL synchronous machine permanent magnet (SMPM) model. In Figure 1, the green square is the controller part and the red rectangle is the physical part of SMPM model. Communication between components in this model is achieved with the help of Modelica Connector (a specialised class in Modelica modelling language ). It can be broadly classified based on its function and flow direction of its information as shown in Figure 2. Figure 2 – Types of connectors in Modelica language based on . In Figure 2, the first classification is based on its function, whereas, the second layer is based on its direction of the flow of information. In the case of a causal connector (shown in Figure 1), the flow of information is unidirectional, whereas, an acausal (physical or domain-specific) connector (shown in Figure 1) can pass information in both directions. Moreover, the causal connector can further be classified based on its primitive types such as Real input or output, Boolean and Integer. For more details about these connectors, please refer to [1, 2]. In Dymola, an error message is given if anyone attempts to connect two different types of acausal connectors together; for example, the left side connector of inertiaLoad and negative connector of signalVoltage in Figure 1. 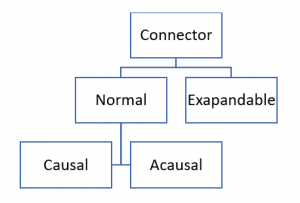 However, this is not the case with causal connectors they are more general. Say, if someone tried to interchange connection between id_rms and iq_rms of the voltageController in Figure 1, Dymola does not provide any error message. That means if a Real output causal connector is unitless, then you can connect them to any another Real input causal connector. However, we get a wrong simulation result. Therefore, this blog post is aimed to present a simple method to avoid such an error occurring and the wrong information being passed from the physical part of a CPS model to control part of the same model. For reducing the connection error in a CPS model, the following steps can be used. Open Dymola and create a new package called CPS in the Package Browser. Duplicate the model, SMPM_VoltageSource available in MSL, and place into the newly created package, as shown in Figure 3. Figure 3 – A New package, CPS, with a model duplicated from MSL. 3. Right-click on the voltageController model, see Figure 3, and then select Open Class option, as shown in Figure 4, a voltage controller model will be displayed. Figure 4 – Object right-click dialog box. Duplicate this voltageController model available in MSL, and place it into the newly created package, as in step 2 (Figure 5). Figure 5 – The duplicated voltage controller model marked in Figure 3. 5. The next step is to check the unit of the phi connector of the angleSensor in Figure 3. For this purpose, repeat step 3, but switch to Modelica Text layer as shown in Figure 6. Figure 6 – Modelica Text layer of MSL AngleSensor. As shown in Figure 6, the unit of the phi connector is “rad”. Copy the highlighted text in Figure 6. Now, go to the duplicated voltageController model in CPS in Figure 5, and double-click on phi. A pop-up dialog box will appear and then click Add modifiers tab and paste the unit copied in the previous step to the empty field as shown in Figure 7. Then click OK. Figure 7 – Dialog box of CPS.VoltageController’s phi connector, with Add modified tab is displayed. 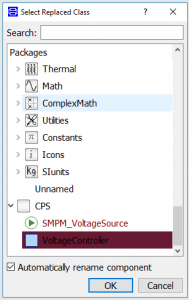 Now, follow step 8 to replace the voltageController model in the duplicated SMPM_VoltageSources model in CPS package with the modified VoltageController model in the same package. 8. Right click on the voltageController model in Figure 3, the same dialog box in Figure 4 will appear, but, this time select the Change Class … A new dialog box will open-up as in Figure 8. Browse through this dialog box and select the modified VoltageController. Then click OK. 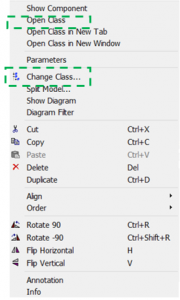 Figure 8 – Change Class… dialog box. This section will investigate the above-presented method. However, in Figure 9, for better visualisation, a graphical representation of steps presented in the last methodology and the following experimentation sections are summarised. Figure 9 – Same as Figure 3 but modified to graphically summarise both methodology and experimentation steps. Figure 10 – Error message appeared when attempted to connect two causal connectors. Repeat the above experiment with other connectors such as voltageQuasiRMSSensor.V and torqueSensor.tau. The same error message in Figure 10 will have displayed at each attempt. However, when connecting the angleSensor.phi and voltageController.phi again, no error message will be displayed because they have the same unit applied. For further investigation, one can simulate both models and then compare the simulation result especially the signals from the modified connectors. This blog post presented a simple method for reducing connection errors when connecting causal Real connectors of a cyber-physical systems (CPS) model in Dymola. Modelica by Example, http://book.xogeny.com/components/connectors/connector_def/#connector-def (10 April 18, last accessed).